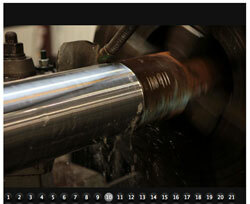 See our photo gallery and take a tour of our facility located in Louisiana. BROUSSARD, La. 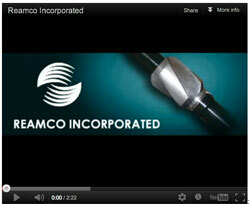 (Oct. 7, 2013) – Reamco, Inc. has again met the requirements for International Organization for Standardization (ISO) 9001:2008 for the manufacture, repair and remanufacturing of rotary drill equipment; American Petroleum Institute (API) Specification Q1; ISO Technical Standard 29001; and API Specification 7-1 certification. "Reamco considers customer service and delivering consistently high-quality products crucial to our continued growth," said Reamco CEO Ashley Lane. "For this reason, Reamco has always put a great deal of emphasis on our quality management system and customer service procedures to ensure we are providing quality products and services. Earning these official certifications is just icing on the cake." 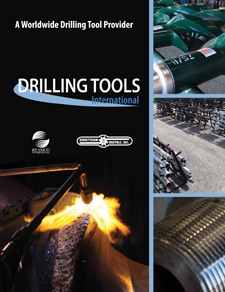 The company's attention to quality and its dedicated and skilled work force are helping make Reamco a leader in the sale and rental of downhole drilling tools to the global oil and gas industry, Lane said. For ISO 9001:2008 quality management system certification, a company must demonstrate its ability to consistently provide products that meet customer and regulatory requirements. Additionally, a company must show that it is aiming to enhance customer satisfaction. This certification recognizes effective implementation of documentation and records management; management's commitment to customers; establishment of clear policies; effective planning and implementation and strong resource management; efficient process control, measurement and analysis; and continual improvement. As an API Spec Q1 registered organization, Reamco emphasizes to its customers that it will meet or exceed industry standards in the manufacture, repair and remanufacturing of rotary drilling equipment. 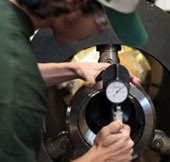 In its mission to ensure that Reamco is providing the highest quality products and meeting all industry requirements, the company also received renewal of its ISO/TS 29001 certification, which is specific to quality management systems for product and service providers working in the petroleum, petrochemical and natural gas industries. Reamco also again earned the API Specification 7-1 certification for the design and development of drill stem subs, drill collars, heavy weight drill pipe and threading for rotary shouldered connections. ISO is the world's largest developer of voluntary international standards. International standards give state-of-the-art specifications for products, services and good practice, helping to make the industry more efficient and effective. ISO international standards ensure products and services are safe and reliable. These standards help companies to access new markets, level the playing field for developing countries and facilitate free and fair global trade. API is an American National Standards Institute (ANSI) accredited standards developing organization. API standards promote the use of safe, interchangeable equipment and operations through the use of proven and sound engineering practices in the oil and gas industry. These standards, in conjunction with API's Quality Programs and active involvement with ISO, form the basis of API certification programs. Reamco, Inc. is an international drilling tool manufacturing, rental and refurbishing provider that focuses on providing quality services and products to the oil and gas industry. With more than two centuries of combined oil field experience on staff, Reamco, Inc. has the capability to deliver accurate and dependable tools and the attention to detail each job deserves. 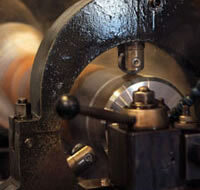 See our manufacturing facility in action. 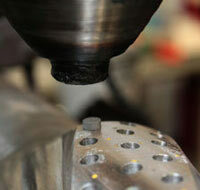 Take a closer look at our products and capabilities. Download our product catalog and brochure. Copyright 2015 Reamco Product Center. All Rights Reserved.